Schools are finally closed and are little ones are getting fond of going to the beach. We’ve packed their lunches, sunscreens, swimwear, and have arrived on a sunny beach for some relaxing. All of a sudden, one realizes, their little ones have grown old of building sun castles and the challenge of keeping them entertained rises again. We’ve dug up 5 new beach games. A simple game that only needs the two things you always have with you on the beach: a towel and an inflatable sea ball. 4 players will hold the towel from its 4 edges and the ball will be placed in the center. Blowing the towel vigorously, the children should throw the ball as high as possible. There is no rating, there are no winners, there is only the appetite for … space launch! Mr Shark are you here? This shark will swim in shallow waters or on the seashore if we are talking about very young children. Its aim is to chase the little kids-fish who swim around and catch and turn them into sharks. Those who become sharks are joining the first shark to its fish-hunting. The final winner shall be the fish that will escape from the shark to the end. Want to add some challenge? The child who plays the shark can tie his/her eyes while he/she is hunting, but only if he/she feels comfortable with closed eyes. The all-time classic bowling game… on the sand. Just find a spot that is smooth and relatively flat, use some empty plastic bottles of water as pins, take a small ball and get ready for some sand-strikes! If the kids are too young, you may let them cheat a bit by having them stand closer to the pins to get them for sure. Carve in the sand a large circle, and inside it, some other smaller concentric circles and at its center, a target. Instead of darts, children will throw pebbles and shells until they hit the target. Looking for spoils and treasures! Children are fascinated with treasure hunting and adventures. Trigger their imagination by telling them, they are pirates on a deserted island looking for 3 unique treasures. The magic pebble, the precious shell and the almighty algae. Their mission is to hunt all 3 treasures as soon as possible. What’s more important than fun(ny) games on the beach, is to keep them protected from the sun without constantly distracting them with the sunscreen application. 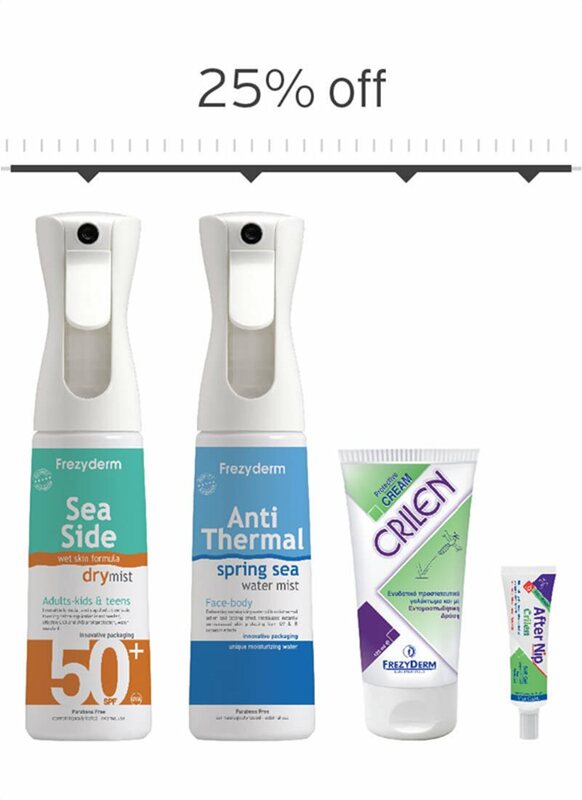 Therefore, make sure you choose a sunscreen spray that can be sprayed directly on wet skin offering very high protection. 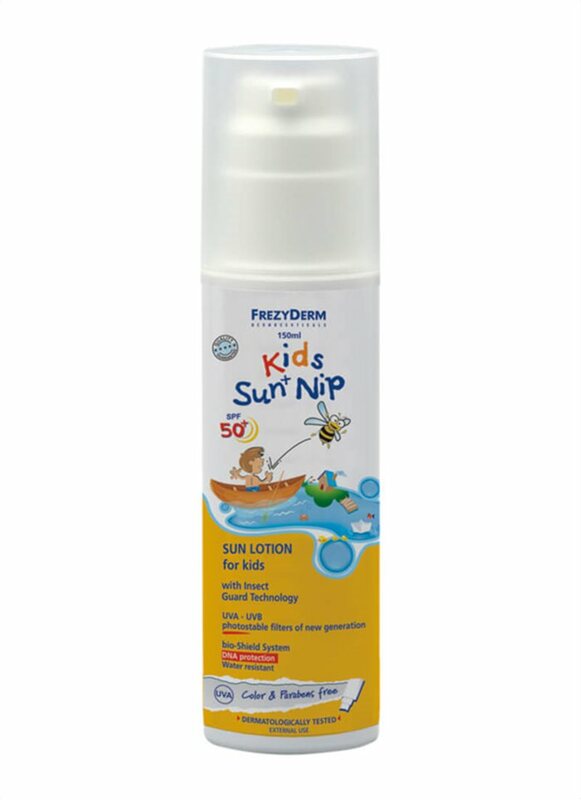 And if you don’t want them to be distracted by nasty mosquito bites either, you could try a sunscreen that will both offer sun protection and act as an insect repellent. 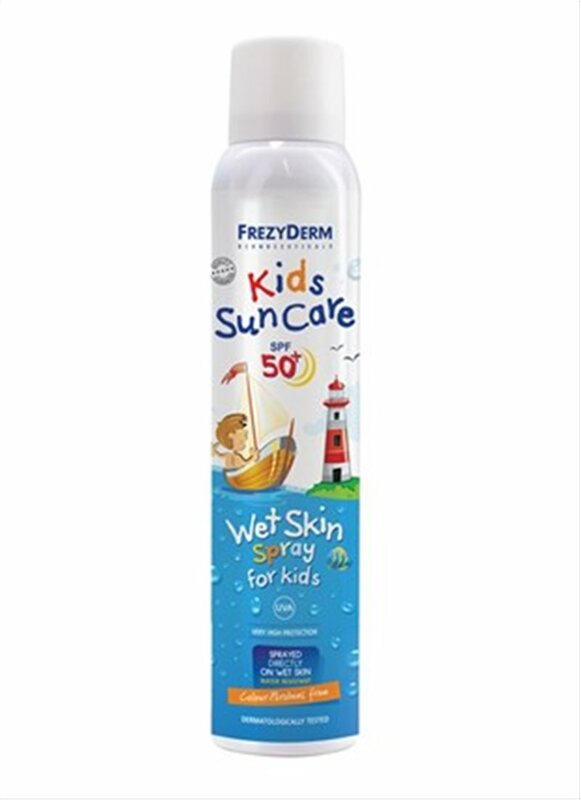 Sunscreen spray that can be sprayed directly on wet skin offering very high protection.